Chicano Rap Oldies, Hi-C, Brown Pride , Lighter Shade of Brown, Sleepy Malo, Sniper, Big Spider and more. After reading an article in Frank 151 about Art Laboe, and his influence on the Lowrider culture in L.A., Wally Clark became fascinated with the connection between Doo Wop music and the machismo traditionally associated with gangster rap. Laboe, the famous KRLA disc jockey who coined the term “Oldies But Goodies” has played love songs in L.A. for over 60 years. His show was played in prisons throughout California, inspiring generations of Chicano gangsters who continued to listen post-release, as they cruised in their Lowriders. 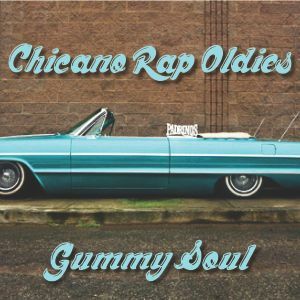 Eventually, with the development of hip hop and the art of sampling, these “oldies” became the backdrop to some of hip hop’s first Chicano rap songs. This mix is an exploration into that world, and contains selected cuts from an almost forgotten chapter in Hip Hop history. New to this I need help downloading!? I loveeee this music!! loved every moment of this, all new tracks to me and now I&apos;m searching for em! Used to play that first Hi-C track all day...thanks for this.